Although most of our customers no longer use stole kits, we still offer them for those who do. Our kits are designed to provide you with a unique memento of your confirmation. 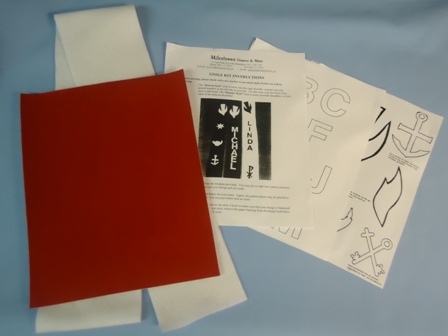 The kits include a 72" long stole in either white or red, together with self-adhesive felt in contrast colour. You will also find enclosed templates for letters and symbols.